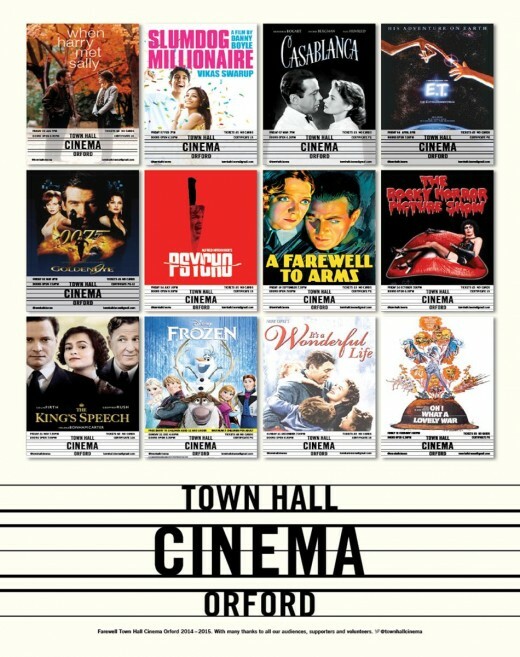 The Town Hall Cinema based in Orford, Suffolk was run by the community for the community. Our aim was to provide Orford and the surrounding villages with a real cinema experience accessible to all. We were a non-profit group screening films in the Orford Town Hall on the first Friday of each month. Our first screening was on Friday 3rd January 2014 when we showed "When Harry Met Sally" to an encouraging number of enthusiastic people. Our last screening was "Oh What a Lovely War" on Friday 13th February. The cinema closed down due to insufficient audience numbers to cover costs and the absence of a chairman to steer the group.